INFINITI will unveil its new QX Inspiration concept at the 2019 North American International Auto Show this month, previewing the brand’s electrified future. The new concept represents INFINITI’s plans for high-performance electrified vehicles, offering complete range confidence, while signalling a new era for INFINITI design enabled by new technology. Infused with Japanese DNA, a refreshed form language hints at the potency and character of the brand’s future electrified powertrains. Infiniti is rather late to the EV game, considering what its rivals, like TESLA, Porsche, AUDI are doing and the fact that parent Nissan has been making the Leaf since 2010. Infinitis is Nissan’s upmarket brand, just as Lexus is to Toyota. As Nissan’s luxury brand, Infiniti has yet to build a pure EV, instead selling rather bland hybrid vehicles like the Q50 Hybrid. However, it plans to electrify its entire lineup starting in 2021, and said that half its vehicles would feature either a hybrid or a pure electric drivetrain by 2025. Unfortunately for pure EV lovers, many of those vehicles will pack Nissan’s e-POWER hybrid drivetrain, which uses a petrol engine to charge the electric batteries, and has no plug-in option. 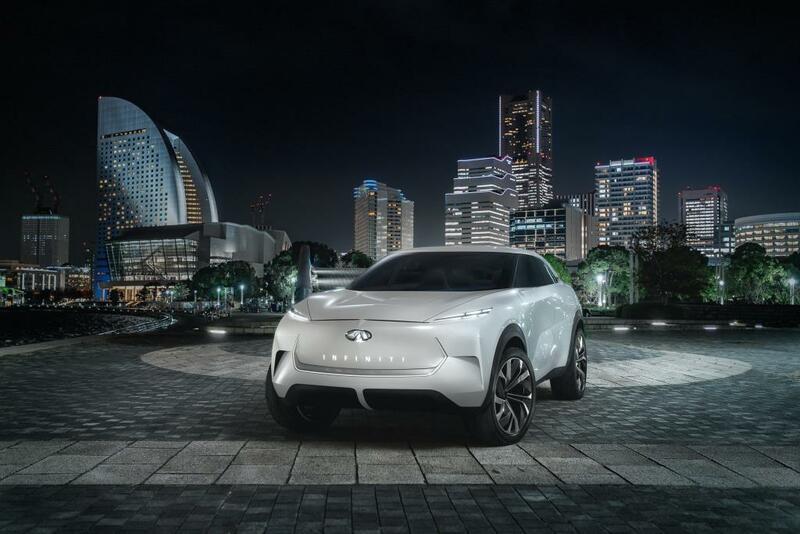 Infiniti has just unveiled the QX Inspiration concept rather than a production car, that it will show off in detail at the 2019 North American International Auto Show later in January. The vehicle design, teased last month, represents the future (and platform) for Infiniti’s electrified program. Development of new electric vehicle platforms enables the formation of spacious, lounge-like interiors. In the case of the QX Inspiration concept, the cabin has been hand-crafted using traditional techniques and a choice of materials inspired by a subtle Japanese sensuality. The new interior technology follows the Japanese hospitality principle of ‘omotenashi’, creating a welcoming environment, while assisting drivers and connecting occupants to the world around them. Karim Habib, Executive Design Director for INFINITI describes the QX Inspiration as the beginning of a new era for INFINITI, and an illustration of where the brand wants to go. New technology gives the opportunity to evolve INFINITI’s design philosophy – and the new vehicle communicates the ‘serene strength’ at our core. We will learn more after the full release at the Detroit show. The Sunday Times asks WHICH IS THE BEST ELECTRIC CAR IN 2018? AUDI E-TRON VS JAGUAR I-PACE VS PORSCHE TAYCAN VS TESLA MODEL X? On the face a strange question as two of the cars, the Audi and the Porsche are not yet available and the I-Pace is so new that very few people have seen one. A new wave of battery-powered luxury models are arriving in Britain’s car showrooms, with the likes of Audi, Jaguar and Porsche joining Tesla in the battle to woo owners of posh cars who are contemplating ditching diesel or parting company with petrol. California’s Tesla may have led the charge of the upmarket electric car, launching its Model S saloon in 2013, but Britain’s Jaguar has managed to get the head-start on its European rivals, beating them to the market with its recently launched I-Pace pure EV. Audi will reveal the production version of its e-tron SUV at the end of August, which is likely to appeal to both Q5 and Q7 owners. 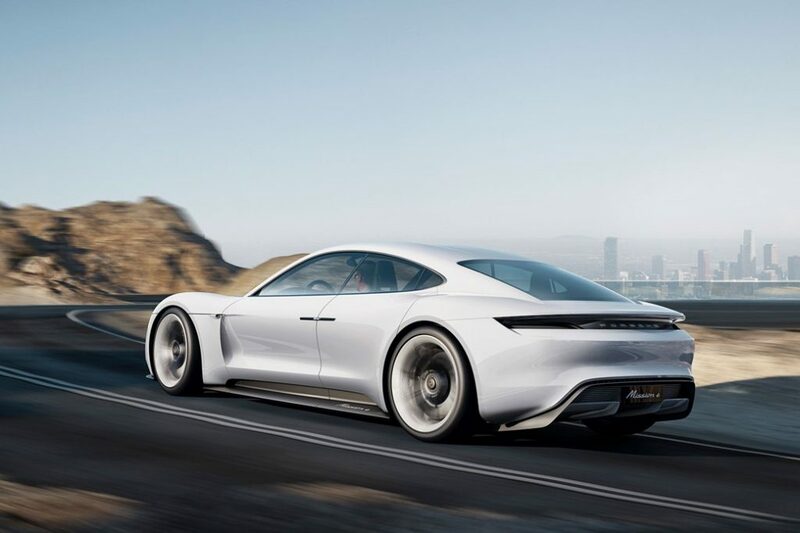 And Porsche is in the race as it readies the Taycan, its first pure electric car that’s about the size of the Panamera. For those looking at these EVs, the obvious question is how do the new luxury electric cars compare? 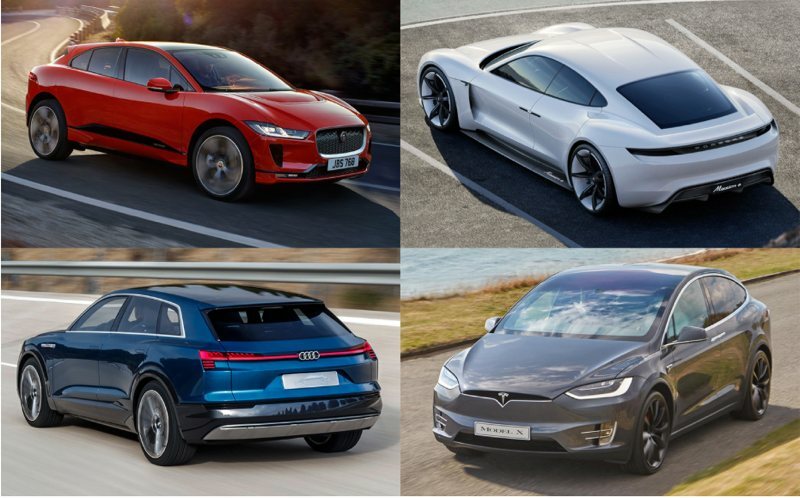 Here, we review the specifications of the Audi e-tron, Jaguar I-Pace, Porsche Taycan and Tesla Model X, to help drivers decide which best meets their needs. Arguably the greatest concern for any driver that’s not owned an electric car before is how far it will travel on a fully charged battery. Distances are improving from earlier, less powerful electric cars like the Nissan Leaf, which would struggle to better 100 miles on a charge, but there’s still the largely misplaced anxiety of running out of battery juice in between charging points when driving an electric-only car. After range anxiety, the next headache for anyone new to electric cars is how long a battery takes to charge. It’s all good being able to travel 300 miles on a single charge, but if you forget or face a long journey it’s good to know how quickly a depleted battery can be replenished at a public charging point, or at work. Depending on what you’re using to top up the batteries, the charging times will vary considerably. For example, when plugging the car into the regular mains household supply, Jaguar only reckons you’ll get 38 miles of range out of the I-Pace if you leave it charging overnight. That’s why most owners have a 7kW wallbox installed at home or at work, as it will give a full charge overnight, or in 13 hours. Jaguar says that at a standard charging point at a service station its I-Pace should have 168 miles or so of range after an hour’s charge. Once 100kW-capable charging points are available in the UK, it should also be possible to top up the battery to 90% capacity within 45 minutes. Tesla’s Model X 75D takes about 11 hours to charge at home with a 7kW wallbox, and 3.5 hours with a public 22kW rapid charger. Switch to a 120kW Supercharger and within 40 minutes it should have 80% charge. Audi claims that the e-tron will offer 150kW DC charging capability. That means it should charge from empty to 80% in around half an hour, and reach full within 50 minutes, as and when such powerful charges become publicly available – something the company is working on in partnership with BMW, Mercedes, Ford and the rest of the Volkswagen Group, under the guise of the Ionity network. Charged at home, using an 11kW wallbox, and it will take around 8.5 hours for a complete fill. Porsche has yet to provide comprehensive charging data for the Taycan, saying only that it has the ability to provide a range of 248 miles after 15 minutes. However, as with the Jaguar, the technology that would allow this isn’t yet available in the UK. With its own Supercharger network Tesla wins the charging infrastructure game by a long way. Tesla operate 1,327 Supercharger Stations with 10,854 Superchargers. Each year, owners receive 400 kWh of free Supercharger credit, enough to drive about 1,000 miles. These credits cover the long distance driving needs of most owners, so road trips can be completely free. Customers who travel beyond the annual credit pay a small fee to Supercharge—only a fraction of the cost of fuel. Because the Audi and Porsche are not yet on sale, the final price for UK drivers is still to be announced. However, the companies have given guidance on the anticipated cost, with the Audi e-tron likely to start from £60,000 when it is revealed in showroom trim in September, and the Porsche Taycan expected to be around £70,000 – when it finally reaches showrooms early next year. Rubbing shoulders with both is the Jaguar I-Pace, which costs from £63,495 and reaches £74,445 in top-spec, HSE trim. The Tesla Model X 75D costs from £74,650. All four cars qualify for the government’s plug-in car grant for zero-emission vehicles, which is worth up to 35% of the price or a maximum of £4500, and would be deducted from the prices listed above. The Porsche Taycan is set to the brands first full EV, and now we know what it’s actually going to be called. At the 2015 Frankfurt motor show and the announcement of the all-new Porsche Mission E, shown in concept car form (above). It looked like one of Stuttgart’s finest, but everything inside it seemed to be alien. Where was the flat-six engine? If Porsche had jumped on the EV bandwagon, surely the internal combustion engine’s days were numbered? Three years later, we have a much more measured, balanced view of EVs, and they’re shifting relationship with ICE-powered cars. In 2018 everyone’s releasing an EV – or at least announcing an ambitious plan for electrification, and our roads are peppered with Nissan Leafs and a swelling number of Teslas. Now, the idea of an electric Porsche isn’t a shocking novelty, and it needs to be backed up with some serious specs, infrastructure and competitive performance. What is Porsche Mission E? The Porsche Taycan (formerly the Mission E) is an all-new supercar that’ll fit somewhere between the Panamera and 911, and will feature an all-electric powertrain. It has been spotted being benchmarked against Tesla Model S and Model X EVs. In the wake of the ongoing emissions scandal rocking Porsche’s parent company VW, electric drivetrain technology is being fast-tracked throughout the VW Audi empire. How fast is the Porsche EV? Porsche claims the Taycan will pass 62mph in ‘less than 3.5 seconds’, dashing past 124mph in just a dozen seconds. Top speed meanwhile will be ‘more than 155mph’. The dual-motor layout delivers four-wheel drive and the 911’s four-wheel steering features for agility that would surprise most four-seaters. The batteries are mounted as low as possible within the composite construction for a ground-hugging centre of gravity. There are also two recesses within the skateboard-like battery, for better rear occupant legroom. 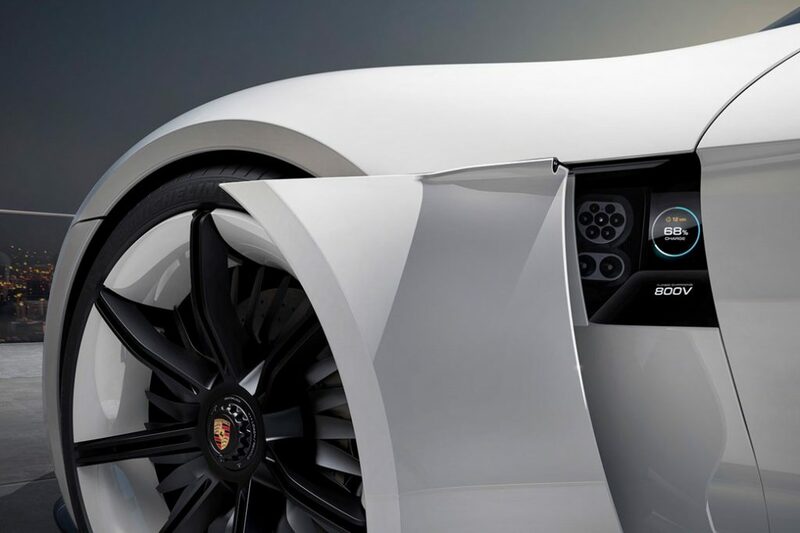 In Stuttgart at the company’s annual earnings conference, Porsche let slip that the Tayxan would be powered by LG batteries from South Korea – but that the cells have been designed and built specifically for the Taycan, so they’re not appearing in any other EVs. Steiner added that longer term, Porsche would be pooling its resources within the VW Group to eventually produce its own batteries. Is the Taycan a real Porsche? Sort of. 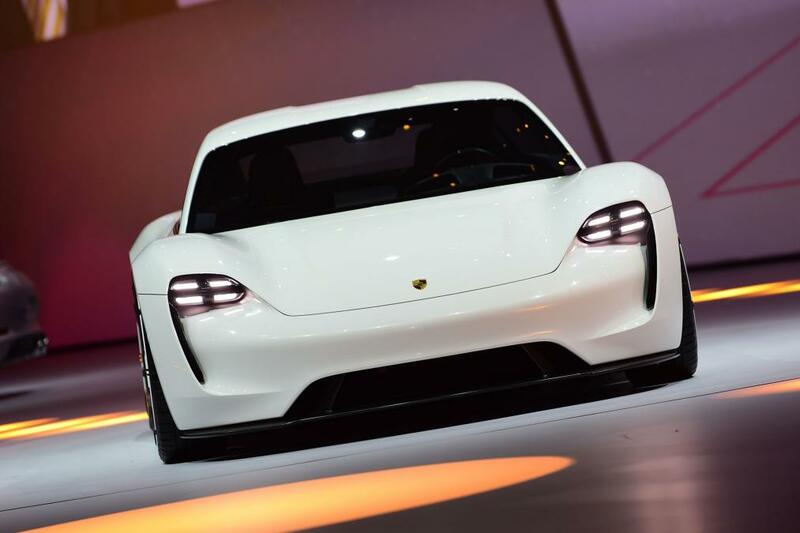 ‘The Porsche Mission has been developed in-house at Stuttgart from start to finish, but Porsche is working with its VW stablemate on a separate platform called the Premium Performance Electric or PPE,’ said Stefan Weckbach, head of BEV at Porsche. That’s BEV as in Battery Electric Vehicles, in case you were wondering. ‘E-mobility is a Herculean task, and that’s also true in monetary terms. Group-wide cooperation is therefore a huge plus for us. ‘We’re working very closely with our counterparts, in particular at Audi, on the use of joint modules for the e-vehicles we are currently planning. 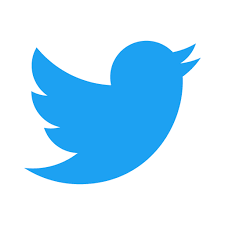 The brands are also working on the joint development of a platform for new BEV projects in the future.’ We should expect three SUV or saloon models from that in the future, enabled by the economies of scale sparked by working with sister brands. By teaming up, Audi and Porsche are jointly saving 30% in R&D costs. Of course the Porsche Cayenne is based on the Audi Q7 and the Macan on the Audi Q5. What are the Taycan specs? Three years ago, the Mission E promised impressive specs, but Porsche realises it’s been chasing a moving target ever since the car was announced – and that won’t stop when the car is finally released in 2019. Power electronics and battery tech are moving at such a fast rate, Porsche is still unsure if it’ll be offering incremental upgrade packages to early customers. Tesla is happy to offer performance improving software updates with startling frequency, whereas Nissan tends to save any Leaf updates for refreshed models. However, with performance and speed being such an important part of the Mission E concept Porsche is considering how to factor in life-cycle improvements to the Taycan. Porsche plan to use 800 volts with PSM ‘permanently excited synchronous machine’ – an electric motor with extremely high power density, high-efficiency and consistent performance over the entire range of speed and distance. Concept Study Mission E features two of them: one on each axle with a total of more than 440 kW (600 hp) to give a range of over 500 Km. Or use a standard Type 2 charging cable. Porsche is planning to offer its Taycan EV in three different power outputs and will price the fast four-door in a similar ballpark to the Cayenne and Panamera. This points to a launch price of around £75,000 in the UK when sales start in 2019. Offering a choice of performance levels gives the Porsche EV a wider market appeal, different price points and an answer to the Tesla Model S, which also comes in 75D, 100D and P100D flavours. We understand the Taycan will be available with some very familiar-sounding badges, reflecting the performanceincrease. One constant question Porsche has to face right now is: ‘how do you make it feel like a Porsche?’ And it’s a reasonable thing to ask, especially when it comes to electric cars. Take the 911 GT3; it’s one of the most responsive cars on the road – thanks in part to its naturally aspirated flat-six – but how do you deliver that instant response and hit of acceleration in a marketplace where e-motors with tonnes of torque and linear power delivery come straight off the shelf? 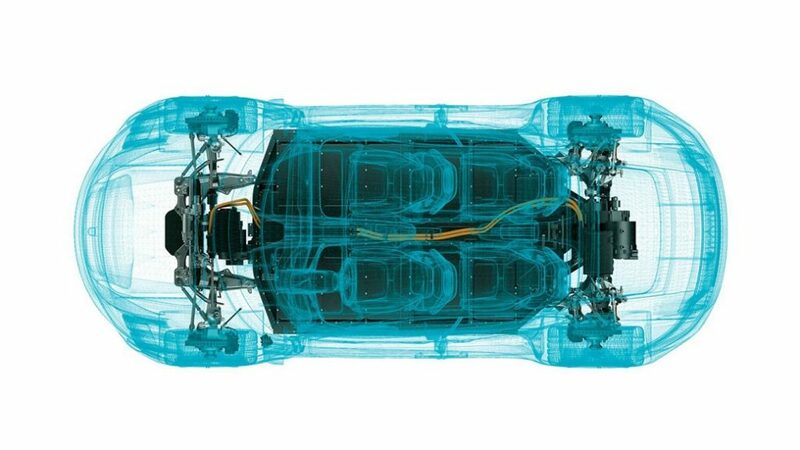 The quick answer: Porsche says it’ll be going deeper into the response and power characteristics of EVs, and there’s more to it than just pure acceleration. 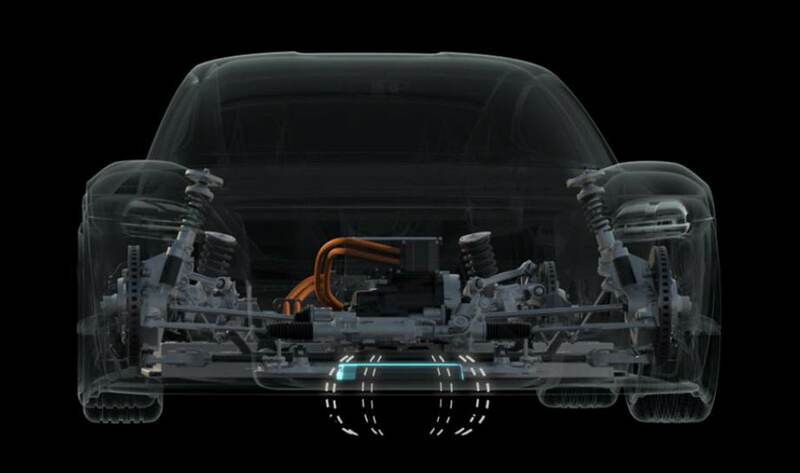 For example, steering and braking feel are both something Porsche prides itself on, and the company expects them to be a good area of differentiation in its EV. No wooden brake feel here, say the engineers. And unlike other cars such as the Tesla Roadster, which can only achieve its headline-grabbing figures twice before needing to cool down, Porsche wants its car to deliver the same level of performance at all times. ‘Porsche drivers won’t need to worry about throttling performance,’ said Weckbach. ‘The Mission E will offer reproducible performance and a top speed which can be maintained for long periods, he vows. The Taycan will sound like an electric car, in the same way that the 911 GT3 sounds like a flat-six monster. That is, while the car’s acoustics may be tuned to sound as pleasant or aggressive as possible, there won’t be any synthetic BMW i8-style noise. What’s more, Porsche believes there’s more to driving dynamics than the metallic roar of an ICE behind you, and that in the future, the sound of thousands of tiny explosions won’t be so associated with driving excitement anyway. Porsche wants to ease Taycan owners into the world of electric charging, and it’s going to use a combination of hardware and software to do it. For example, in a step above Tesla’s own Supercharger network, Michael says Porsche drivers will be able to easily reserve charging spots as part of a normal sat-nav-led journey. ‘Take the Turbo Charging Planner for our battery electric powertrains as another example,’ said Michael. ‘Quick-charge options are optimally matched to your route planning and charging pedestals are pre-reserved, meaning that you can gain that all-important advantage and lose as little time as possible. Added value of this kind helps to determine the essence of the brand.’ Unlike Tesla, which sees charging as a financial incentive to buy into its ecosystem, Porsche wants to use charging as an additional revenue stream. Interestingly, Porsche isn’t too keen on rolling out its fastest charging technology to everyone’s homes, either. Instead, it’ll offer an extended range of wall chargers, with different models catering for different cars and use cases. 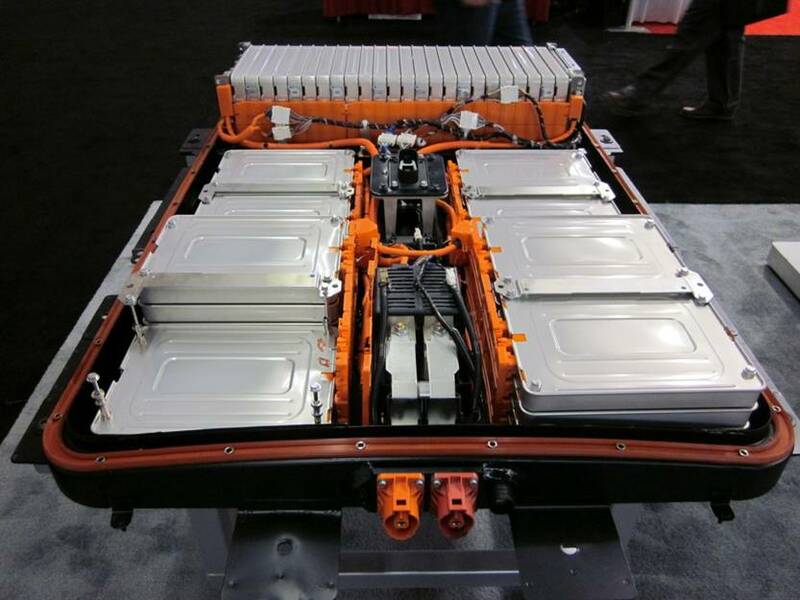 There is also talk of Inductive charging, just drive over a base plate and the car is re-charged automatically. For this to work the car and the plate need to be super close. The new Taycan will be built in Porsche’s Zuffenhausen plant, alongside the 911 – but with space and time at a premium, the extra facilities needed for the Taycan are being built around the existing, working factory. A portion of the plant is currently closed whiles the lines are re arranged for the Taycan. For Porsche, building its first all-electric car is a huge learning curve in more ways than one. And it’ll be the same for customers, when they first get their hands on the Taycan at the end of the decade. This promises to be one of the most fascinating EVs yet on sale – and one aimed squarely at old-school ‘petrolheads’ keen to make a stepchange into the new electric era. Porsche brand ambassador Mark Webber loves it. Nissan CEO Carlos Ghosn presides over the company has made more electric cars that anyone else so he should know a thing or two about the range that consumers expect from their car before having to plug them back in. At a recent speech in Hong Kong he said that about 300 KM was fine. The Nikkei Asian Review revealed that Carlos is focused on lowering price and not on extending range. said Ghosn, the chairman of the three carmakers, in a media session with Hong Kong reporters late Friday. The debate over how much range is enough has raged among electric car advocates and consumers ever since the first all-electric vehicles hit the streets. I remember speaking to consumers looking to purchase a Sparrow EV and if 50 miles was enough for their commute. Now, most electric models have had ranges of about 80 – 110 miles, which will cover the daily driving of about 90 percent of the public, according to census and Department of Labor studies. Yet many car buyers still rejected those electrics from range anxiety: would there be enough charge left for incidental trips after work? They think they may have a sudden urge to drive to Aberdeen for some reason. The New Leaf is good for over 200 miles and all the Tesla models offer well over 200 miles of range at motorway speed. We expect battery costs to reduce 2-5% per year for the foreseeable future. A number of car companies showcased an interesting selection of pure and hybrid Electric Cars at last years show. Here are some of the most striking examples. Take away. The appetite for 100% Electric Cars from the main German manufactures is growing with plenty of excitement from all the main brands. VW Group, BMW and Daimler. Smart EQ fortwo – Future of car sharing. The smart vision EQ fortwo provides a new vision of urban mobility and individualised, highly flexible, totally efficient local public transport: the autonomous concept vehicle picks up its passengers directly from their chosen location. New individualisation options help users to recognise that it is “their” vehicle: by means of the Black Panel Grille at the front as well as large projection surfaces at the sides, the smart vision EQ fortwo allows unprecedented individualisation of the vehicle, ideal for car sharing. Freed from the task of driving, the passengers are able to relax in the large interior. The show car is the first vehicle from the Daimler Group to take the logical step of dispensing with a steering wheel and pedals. See more on plans from Smart / Mercedes / Daimler at news room. Starting from the front, the classic BMW double kidney grille and large air intakes give way to the elegant and flowing lines that slope over the panoramic glass roof, ultimately leading to the taut and narrow rear. Exaggerated contours accentuate the muscular proportions and continue the feeling of grandeur and dynamism the car was designed for. 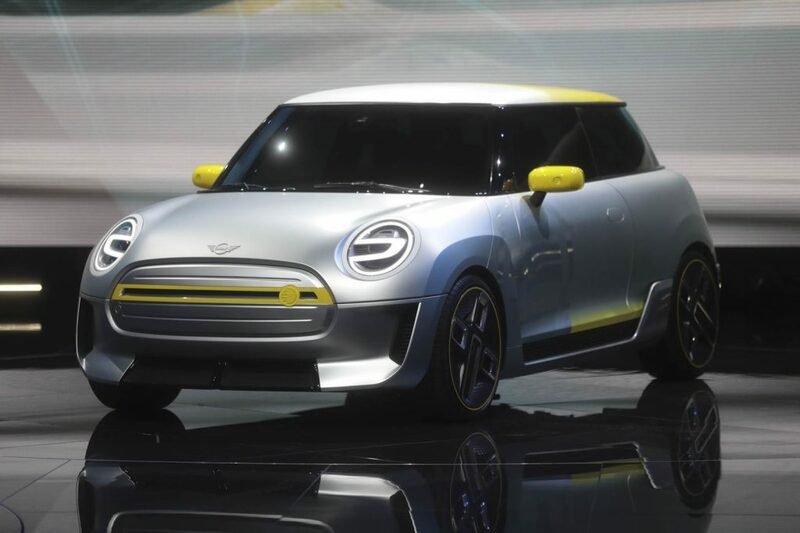 Mini has the existing Plug In and the 100% electric is scheduled for 2020. Mini or rather BMW say. The MINI ELECTRIC CONCEPT is a quintessential MINI – compact, agile, simply the perfect companion for everyday driving. At the same time, it conveys a whole new take on the concept of sportiness. Learn more and read the Press Release at BMW news. We have the i3 and i8. What’s next. BMW say. An amalgamation of the BMW i3 and BMW i8, the BMW i Vision Dynamics showcases how we envisage the future of electric mobility. The dynamic and progressive four-door Gran Coupé has a range of 373 miles, a top speed of over 120mph and an acceleration of 0-62mph in a staggering four seconds. Read more about the EV plans from BMW at iVsion Dynamics. The VW Buzz, part if the ID range. I.D. is a highly automated electric car that will cover a distance of 400 to 600 kilometres on a single battery charge. The production version of the I.D. is due to be launched in 2020 at a price on a par with comparably powerful and well-equipped Golf. For Volkswagen, the world premiere of the iconic I.D. in Paris – with its iconic, fresh design – marks a watershed. This car is as revolutionary as the Beetle was seven decades ago and the first Golf was 40 years ago – which went on to become two of the world’s most successful cars of all time. The I.D. has the potential to make history, too. It has been designed to be a compact all-rounder that will help to make electric cars the ‘everyday’ choice, with its impressive electric range and an attractive price. Learn more at VW ID. For its drive, the Audi Elaine uses a configuration that Audi will use in future production models with all-electric drive: One electric motor on the front axle and two on the rear power all four wheels, transforming the high-performance coupé into a quattro in typical Audi style. 320 kilowatts of power – which can even reach 370 kW in the boost mode – provide a fitting level of propulsion. Elaine sprints from 0 to 100 km/h (62.1 mph) in just 4.5 seconds. With the battery’s energy content of 95 kilowatt-hours, its range is in excess of 500 kilometers (310.7 miles) (NEDC). See Audi Concept for more detais and informatioin on Audi’s Electrification plans. With SYMBIOZ Concept, your car is no longer separate from your living space. It has been designed as a genuine extension to your home. Shapes, colours, materials, features… Everything is designed so that you feel like you never leave your lounge while you are travelling. And when you do stay at home, your car becomes an additional room for your house. The welcoming interior and digital features are always at your disposal. Learn more at Renault Concept Cars. This weekend sees the start of the new Formula E season of Electric Car racing with a number of new players including Audi. Full race report to follow. For the first time, Audi will be competing in motorsport as a factory team with a fully electric race car this weekend (December 2/3). 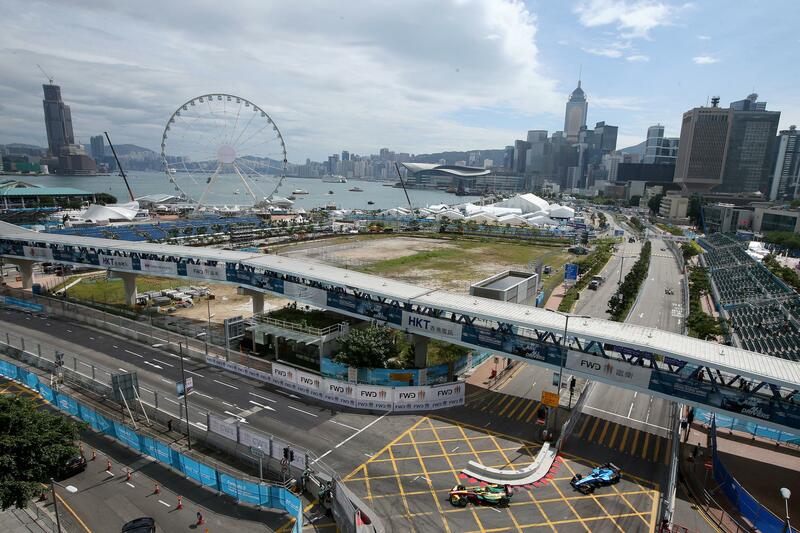 The two races in Hong Kong form the opening event of the new Formula E season in which Audi is the first German automobile manufacturer to be involved. For Team Audi Sport ABT Schaeffler, Daniel Abt and Champion Lucas di Grassi will be at the wheel of the Audi e-tron FE04. 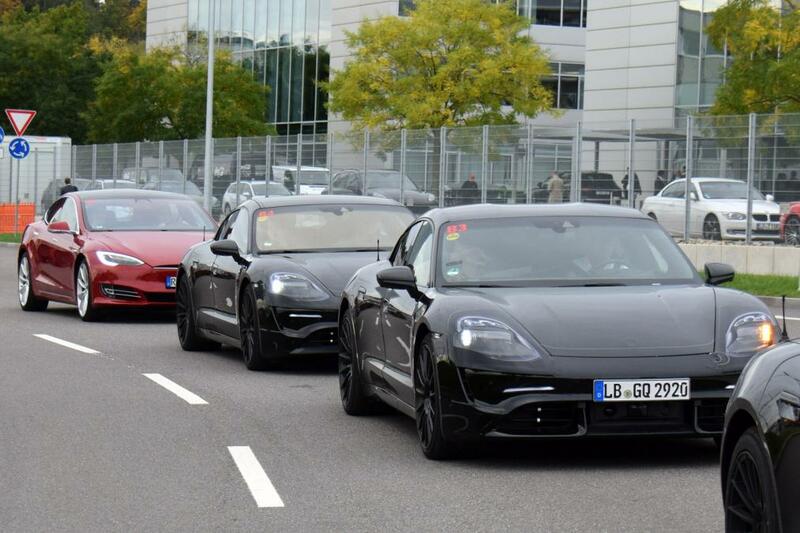 Porsche admits the EV investment to take on Tesla Motors is an “enormous burden”. 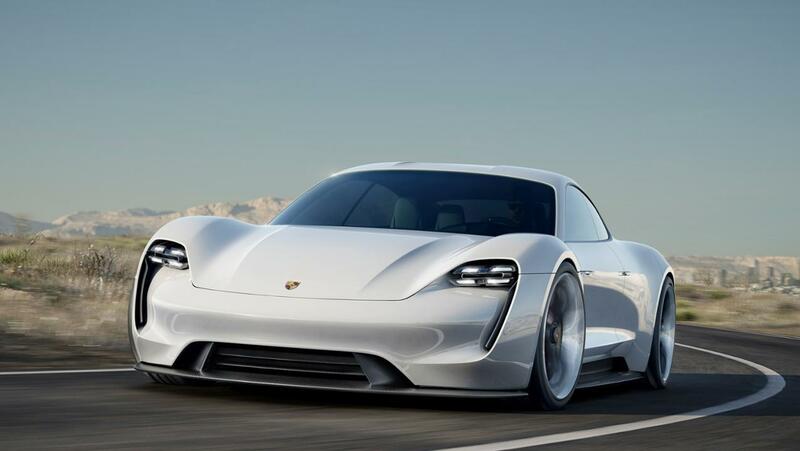 It’s no secret that Porsche is looking to soak up market share away from Tesla when the automaker releases its long-range, all-electric Mission E in 2019. Arguably one of Tesla’s strongest potential competitors, with decades of manufacturing expertise and support from parent company Volkswagen AG, the German automaker specializing in high performance vehicles is preparing to face financial headwinds as it aims to electrify its fleet. Porsche’s CFO, Lutz Meschke, recently spoke with Automotive News Europe about the company’s plan to stay profitable as it invests billions into its electric vehicle program. “Today Porsche packs 8,000 to 10,000 euros in added content into an electrified vehicle, but those costs cannot be passed on via the price. The customer won’t accept it, just the opposite, in some parts of the world there’s a certain hesitation,” said Meschke in his interview with Automotive News Europe. 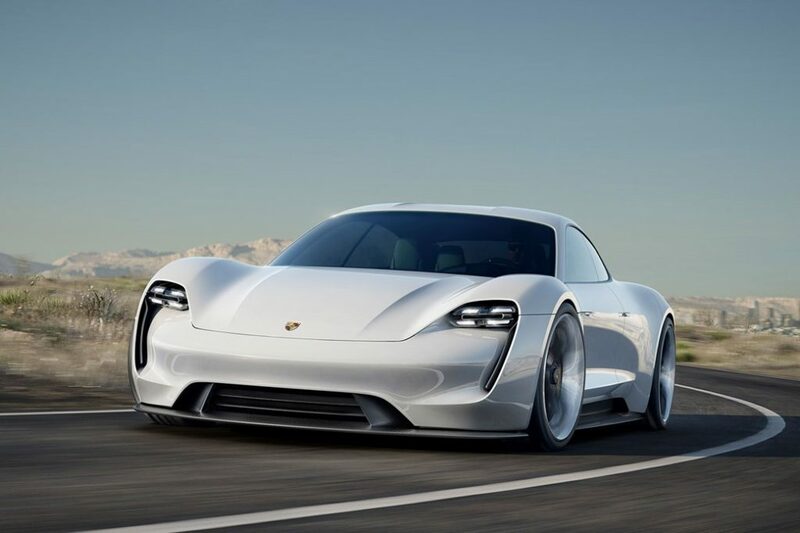 As Porsche looks to invest more than 3 billion euros ($3.5 billion USD) into the development of EVs and plug-ins, the automaker will continue to build internal combustion engine vehicles in parallel and implement company-wide cost-cutting measures to retain its profit margin. 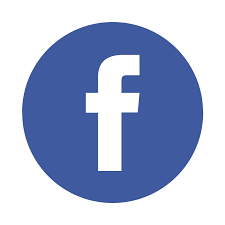 “That’s an enormous burden for a company of our size.” says Meschke. Maximizing efficiencies across the organization is something Tesla CEO Elon Musk has long talked about. By “building the machine that builds the machine“, Tesla looks to utilize an army of manufacturing robots to achieve mass volume production of its product line that consists of vehicles, solar products and battery storage solutions. It’s the company’s key differentiator over other manufacturers that largely have robots augmenting human personnel as opposed to replacing them. The goal to achieve full automation is Tesla’s biggest strength, yet also the company’s weakest link, as made evident when Musk announced that production of its mass market-intent Model 3 vehicle was facing issues. The downside to implementing a highly automated production line is the need to have robots that work in perfect harmony with one another. Any misconfiguration or general issue around a specific machine in the process becomes amplified across all other machines that rely on it. There’s less tolerance for errors in an automated process, explained Musk during the company’s third-quarter earnings call. Porsche’s strategic entry into a market that’s been largely dominated by Tesla is an interesting match up that pits David versus Goliath. With two very different approaches to reaching mass volume production from two very distinct companies, it’s anyone’s guess who’ll come out ahead in the race to electric mobility. Regardless, competition helps stimulate innovation, productivity and growth prospects in the electric car sector, and that can only be a good thing. Trucking is big business. UPS , DHL and FexEx are all playing with electric trucks, as are Mercedes and Cummings. Whilst current volumes are small the rate of growth is expected to ramp up significantly. UPS, the king of commercial fleets, has been testing electric trucks for several years. Workhorse, one of several companies supplying e-trucks to Big Brown, has seen each successive order grow bigger, from 2 units to 18 to 125 to an order for 200 announced in October 2016. When DHL decided in 2013 that it wanted to upgrade its fleet to electric powertrains, it couldn’t find a suitable vehicle or an OEM willing to develop one. So, in cooperation with a university spin-out called StreetScooter, it developed its own EV. By the end of 2017, over 4,000 will be in service. 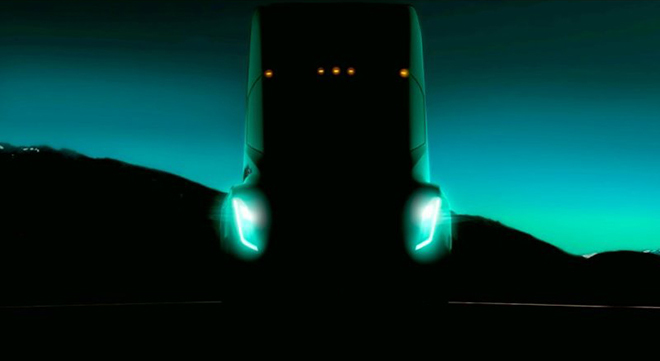 With Tesla set to announce an EV semi on October 26th the race for Electric Trucks is underway. The question is no longer whether trucks will electrify, but when. A new article from McKinsey Energy Insights reports that the electrification of the freight sector is moving faster than expected. In “What’s sparking electric vehicle adoption in the truck industry?” the authors predict that e-trucks could account for 15% of global truck sales by 2030, and as much as 25-35% in favorable segments such as urban light-duty trucks in China and Europe. According to McKinsey, three main factors will drive the adoption of e-trucks: cost parity with diesel alternatives; readiness for electrification, which includes the availability of models on the market and supporting infrastructure; and local and national regulations. The authors examined 27 segments of the truck market, and concluded that the majority of commercial vehicles can reach cost parity with legacy diesel trucks within the next 10 years, assuming that battery cost and power density continue to improve. The most cost-effective application is likely to be light-duty trucks that drive between 100 and 200 kilometers per day. 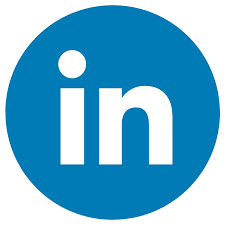 This segment is expected to reach cost parity by 2021 – in fact, in some markets parity has already been reached. 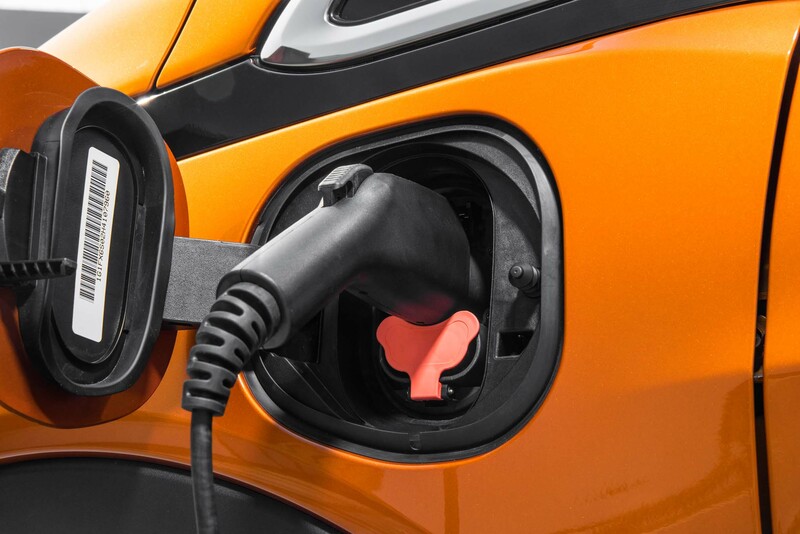 Even once cost parity is attained, a large-scale switch to e-trucks will require a sufficient number of models on the market and adequate charging infrastructure. McKinsey sees the supply of e-trucks as a likely bottleneck for the next few years. When it comes to charging infrastructure, early adopters will mainly charge their fleets overnight at their own depots. However, once e-trucks become more mainstream, supercharging infrastructure is expected to be rolled out at distribution centers and along major highways. Regulation could further speed the proliferation of e-trucks. Governments are tightening emissions targets for carbon dioxide and nitrogen oxides. There are already over 200 cities with emission and access regulation zones, and major cities including Madrid, Paris and Mexico City are announcing diesel bans. The adoption of e-trucks could have a significant impact on energy markets. Trucks represent only around 5% of the global vehicle stock, but they make up more than 20% of fuel demand, due to their high fuel consumption and mileage. Trucks account for a third of global diesel demand. However, it may take some time for the impact of electrification to be felt, because the majority of diesel is consumed in the heavy truck segment, which is expected to be the last to electrify. As recently mentioned this weeks Economist is a must read for anyone interested in the Electric Car market and the transition to a more electric world. After electric cars, what more will it take for batteries to change the face of energy? The article desrcibes how the Nissan plant in Sunderland churns our Qashqais and the occasional Leaf. Though Leafs are the world’s biggest-selling electric vehicle, the Sunderland plant, Britain’s biggest car factory, only made 17,500 of them last year. It made 310,000 Qashqais. And the Qashqais, unlike the Leafs, were profitable. Nissan has so far lost money on every Leaf it has made. It goes on to say that the EV market with annual sales of 750,000 units last year represents less that 1% of the new car market. The GM bolt along with the Tesla Model 3 and the coming new Nissan Leaf will add significantly to the EV sales numbers. Many forecasters reckon that the lifetime costs of owning and driving an electric car will be comparable to those for a fuel burner within a few years, leading sales of the electric cars to soar in the 2020s and to claim the majority sometime during the 2030s. 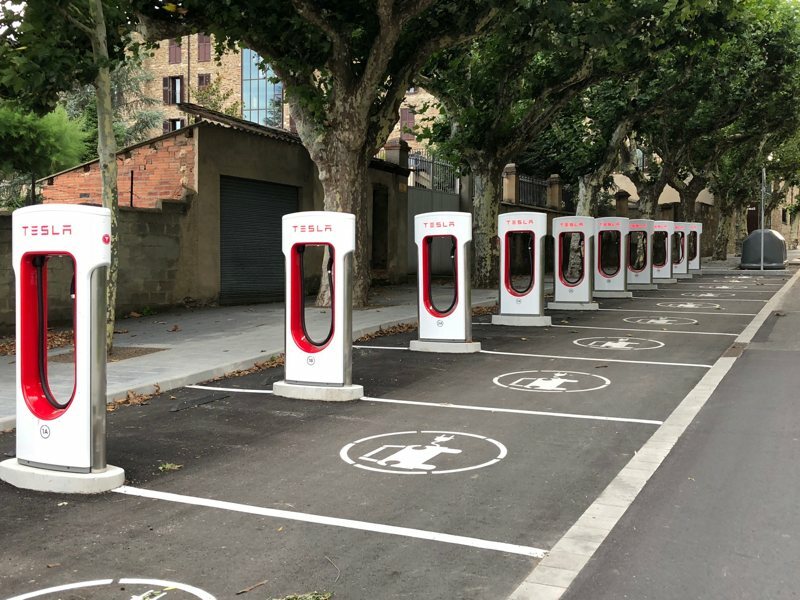 China, which accounted for roughly half the electric vehicles sold last year, wants to see 2m electric and plug-in hybrid cars on its roads by 2020, and 7m within a decade. Bloomberg New Energy Finance (BNEF), a consultancy, notes that forecasts from oil companies have a lot more electric vehicles in them than they did a few years ago; OPEC now expects 266m such vehicles to be on the street by 2040. Britain and France have both said that, by that time, new cars completely reliant on internal combustion engines will be illegal. Battery technology is discussed in detail and explains the first lithium-ion power consumer device was the humble Sony CCD-TR1 camcorder 26 years ago. Since then the demand for lithium-ion power packs has skyrocketed. Last year consumer products accounted for the production of lithium-ion batteries with a total storage capacity of about 45 gigawatt-hours (GWh). In the same year production of lithium-ion batteries for electric vehicles reached just over half that capacity: 25GWh. But Sam Jaffe of Cairn ERA, a battery consultancy, expects demand for vehicle batteries to overtake that from consumer electronics as early as next year, marking a pivotal moment for the industry. Huge expansion is under way. The top five manufacturers—Japan’s Panasonic, South Korea’s LG Chem and Samsung SDI, and China’s BYD and CATL—are ramping up capital expenditure with a view to almost tripling capacity by 2020. The vast $5bn gigafactory Tesla is building with Panasonic in Nevada is thought to already be producing about 4GWh a year. Tesla says it will produce 35GWh in 2018. Just four years ago, that would have been enough for all applications across the whole world. All the big producers are adding capacity in part because it drives down unit costs, as the past few years have shown (see chart 3). Lithium-ion cells (the basic components of batteries) cost over $1,000 a kilowatt-hour (kWh) in 2010; last year they were in the $130-200 range. GM says it is paying $145 per kWh to LG Chem for the cells that make up the 60kWh battery for the Bolt (the pack, thanks to labour, materials and electronics, costs more than the sum of its cells). Tesla says that cells for the Model 3 are cheaper. Lower costs are not the only improvements; large amounts of R&D investment have led to better power density (more storage per kilogram) and better durability (more discharge-then-recharge cycles). There are, though, other valuable metals in the picture. Making more batteries means acquiring more lithium, as well as various other metals, including cobalt, for the cathodes. These make up about 60% of the cost of a cell. Being assured of a constant supply of them is as much a strategic consideration for battery-makers as mastering electrochemistry. Since 2015 lithium prices have quadrupled, says Simon Moores of Benchmark Mineral Intelligence, a consultancy. Cobalt’s price has more than doubled over the same period; prices of chemicals containing nickel, also used in cathodes, are rising too. Until now, the mainstay has been a cylindrical cell called the 18650, which looks like a rifle shell. It is 65 millimetres long, 18mm in diameter and has an energy density of perhaps 250 watt-hours per kilogram. (The energy density of petrol, for comparison, is about 50 times greater; but the cell can store that much energy hundreds or thousands of times.) Tesla and Panasonic have now developed the 2170, a bit longer and wider; Mr Musk says it will be the most energy-dense battery on the market. The company says that the cost of driving a Model 3, released in late July to rave reviews, will be half that of any of its previous vehicles. For Tesla and other big battery-makers grid-storage projects are the most attractive part of the electricity market; they offer contracts that use up otherwise surplus capacity in satisfying large job lots. But there is also demand for batteries to go “behind the meter”. Tesla serves this market with its Powerwall domestic battery pack, designed to complement the solar panels and solar tiles it offers. Nissan, too, is looking at behind-the-meter applications. It is working with Eaton, an American power-management company, to put “second-life”, or partially used, Leaf batteries into packs that can provide businesses and factories with back-up power, thus replacing polluting diesel generators. The first big customer is the Amsterdam Arena, home to AFC Ajax, a football club. Well worth a read when stuck for hours trying to clear immigration after flying to Madrid. Driving an EV benefits from knowledge of where to charge. This makes any journey planning easier and reduces time and stress and goes a long way to remove the Range Anxiety that impacts EV usage. Zap-Map, the UK’s leading electric vehicle (EV) charging platform has just released version 3.0 of its app that now includes real-time data for around 75% of London charge points, 45% of charge points in England and Wales and 80% of Northern Ireland charge points. This will make owning and using an electric car easier as drivers will be able to see whether a point is available or in use. Zap-Map has integrated live data from Source London, ESB ecars and ecarNI (both operated by ESB Group) networks to add to the live updates already available from POLAR and GeniePoint networks. The new app (now available on iOS, already available on Android) has also expanded internationally to include the Republic of Ireland enabling EV drivers there to be able to locate, navigate to and update charging point data. The app’s improved feature set focuses on the community area with Zap-Map user’s now being able to report a charging bay as ‘ICEd’ (blocked by an Internal Combustion Engine vehicle), add and view enhanced status updates, extended account functions and new café area for users to ask Zap-Map or other EV drivers’ general questions. “With electric cars moving into the mainstream, it is essential that EV drivers have the tools and information they need to plan their electric journeys, and we are delighted to release our new app with more live network data for EV drivers in London, Northern Ireland and Republic of Ireland. We will continue to develop the best possible tools for EV drivers on the move with new features and more live data planned for later this year”. 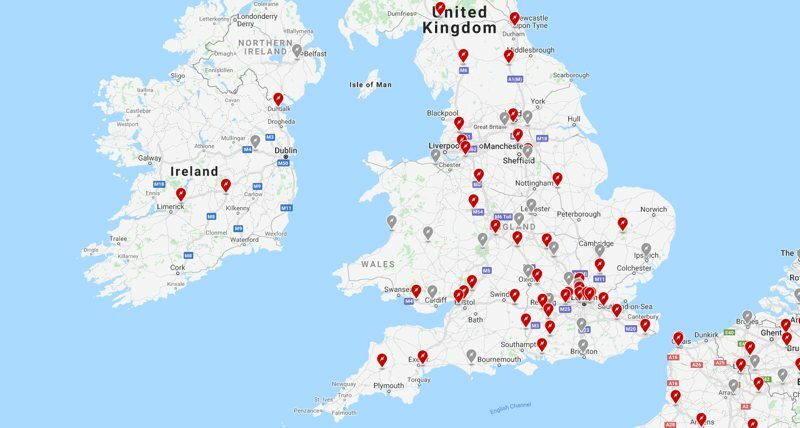 The release of the new features and expansion of dynamic network information maintains Zap-Map’s position as the UK’s number one EV charging platform, covering all charging networks and providing EV drivers with key charge point information in a single portal. Zap-Map attracts over 45,000 users per month from an EV fleet of around 110,000 vehicles and rising rapidly.